Faber Music’s annual magazine Pianofforte, is now available. It’s a superb periodical (as might be expected from one of the UK’s foremost publishing houses) which is essentially for piano teachers, featuring many interesting piano related articles. 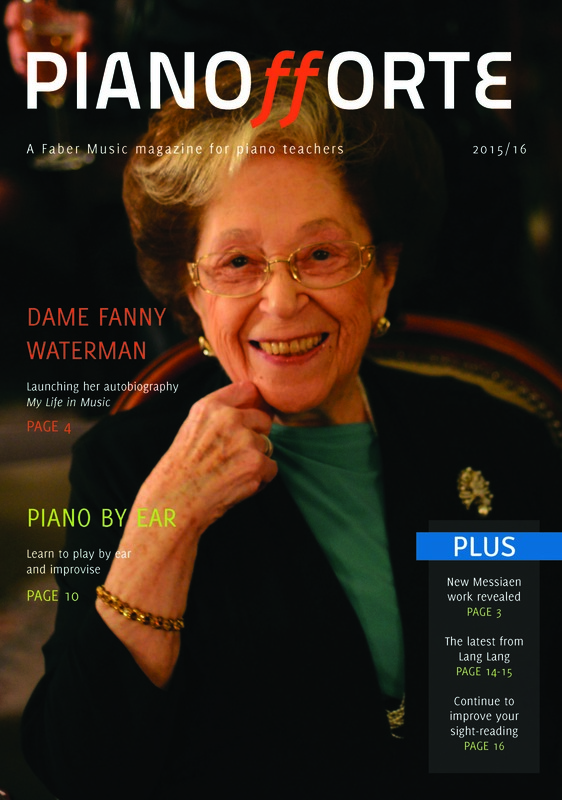 This edition comprises information on all recent Faber Music publications, including new Messiaen works, Piano By Ear (by Lucinda Mackworth-Young), Dame Fanny Waterman’s new autobiography, and the Tido app which complements Lang Lang’s mastering the piano series. I’m delighted to be featured too; my article offering a few teaching ideas, can be read here: A Helping Hand. Last Sunday I had the pleasure of adjudicating at the Jaques Samuel Pianos Junior Festival. Situated in Edgware Road (central London), Jaques Samuel Pianos is one of the UK’s premier piano houses, and as well as selling and supplying pianos, and offering extensive practising facilities, they are also involved with many piano related events. The Jaques Samuel Piano Festival, The Junior Department Piano Festival and The Jaques Samuel Pianos Intercollegiate Piano Competition are just three of the events held every year. The Festival is open to students from the junior departments of the Royal Academy of Music, the Royal College of Music, the Trinity Laban Conservatoire of Music and Dance and the Guildhall School of Music & Drama. It provides an opportunity to perform before a supportive audience. Twenty-six soloists and two groups of pianists performed throughout the day, and were arranged in three categories according to age groups. 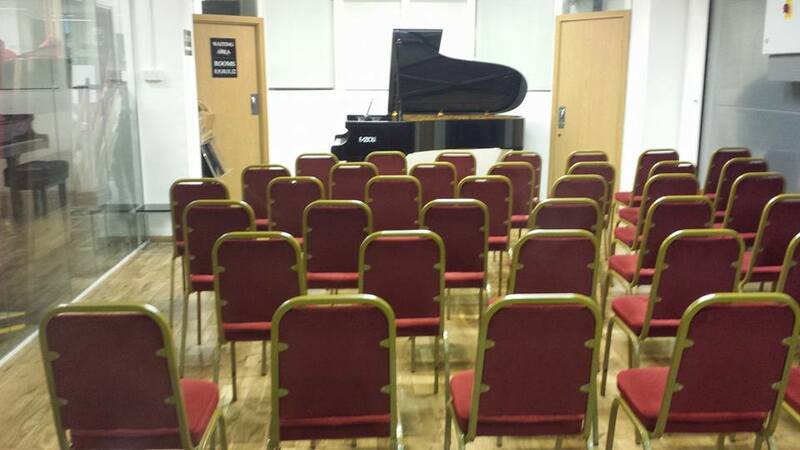 This festival is not competitive as such, it focuses instead on encouraging young pianists, proffering the opportunity to perform to an audience (each class enjoyed a full house consisting of mostly teachers and parents), and they could also savour the opportunity to play a splendid Fazioli instrument at the Jaques Samuel Pianos’ showroom (see photo above). My task was to select a group of pianists to play just one piece (most played two works on Sunday) at the Wigmore Hall on November 1st 2015. Not an easy undertaking! There were many impressive and thoughtful performances and a wonderful selection of repertoire, which ranged from J.S Bach’s preludes and fugues, Scarlatti sonatas, and Haydn, Schubert and Beethoven sonata movements, to Chopin (many of the etudes, nocturnes and preludes), Liszt (etudes and transcriptions), Debussy (preludes) and Ravel (movements from the Sonatine), Brahms (Rhapsodies), Grieg (Sonata Op.7), Scriabin (preludes), Rachmaninov (preludes), Gershwin (songs from the Songbook), Prokofiev (Scherzo Op. 12), as well as works by Albeniz, Bartók, Schoenberg, Copland, Peter Sculthorpe, Oscar Peterson, and a quartet by British composer Mark Tanner, for four pianists (at one piano). Two pianists also performed their own compositions which I really appreciated. At the conclusion of every session, I provided feedback via an adjudication and written notes, which was hopefully helpful, and at the end of the afternoon, the final programme selection was announced.